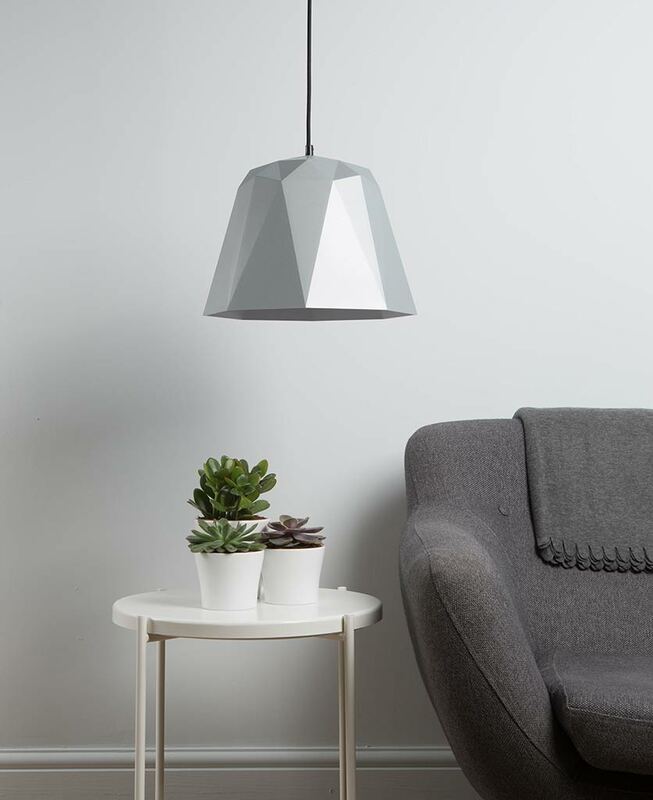 Our Osaka geometric pendant light is a beautiful ceiling light that’s perfect for injecting a strong design element to your interior. Osaka is a distinct shape named after the large port city and commercial center on the Japanese island of Honshu. 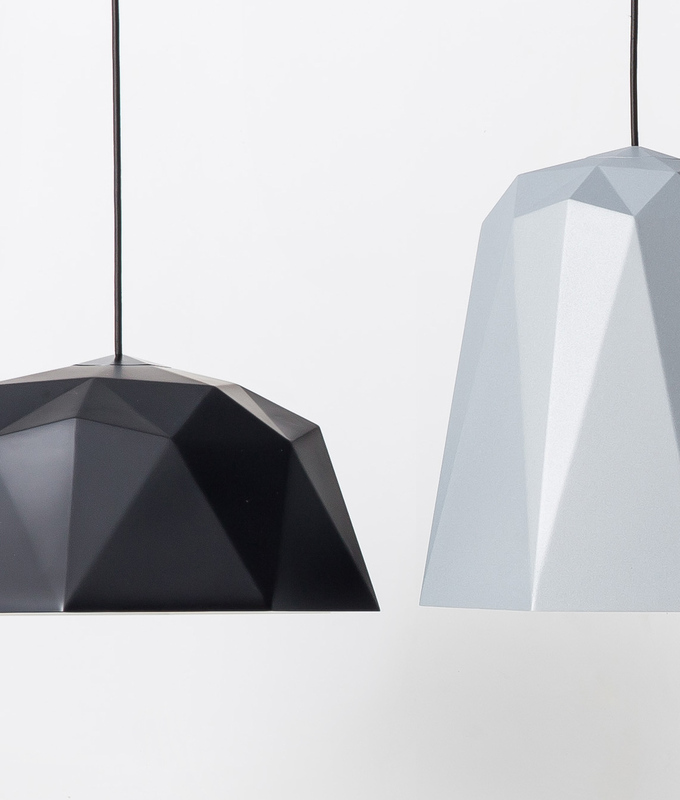 In fact, our pendant light does look a little origami in style but rest assured this angular shade is made of rigid nylon so it won’t fold under pressure. 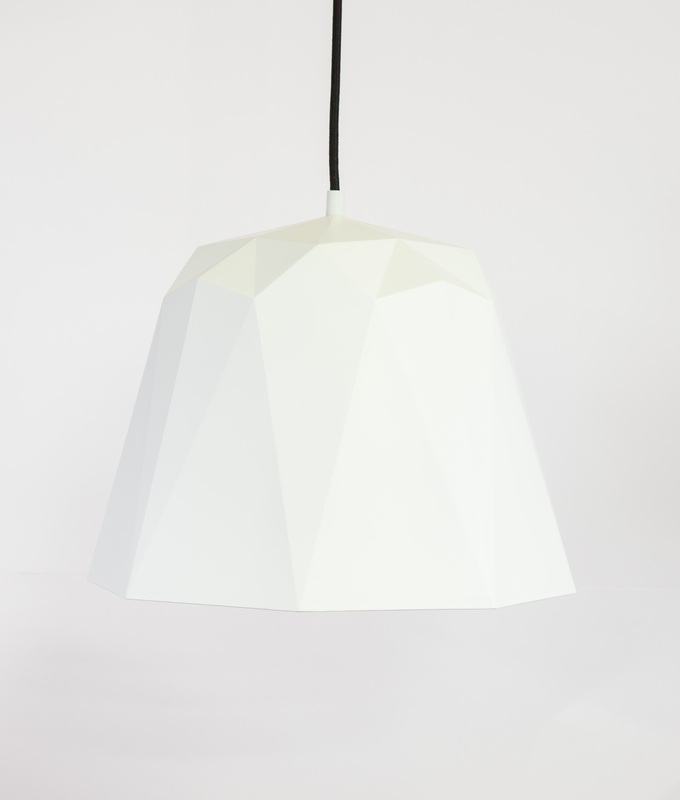 Our geometric pendant light Osaka is a strong shape that adds impact to space – but in a subtle way if that makes sense. It creates lines and surfaces that add visual interest without interrupting the flow. 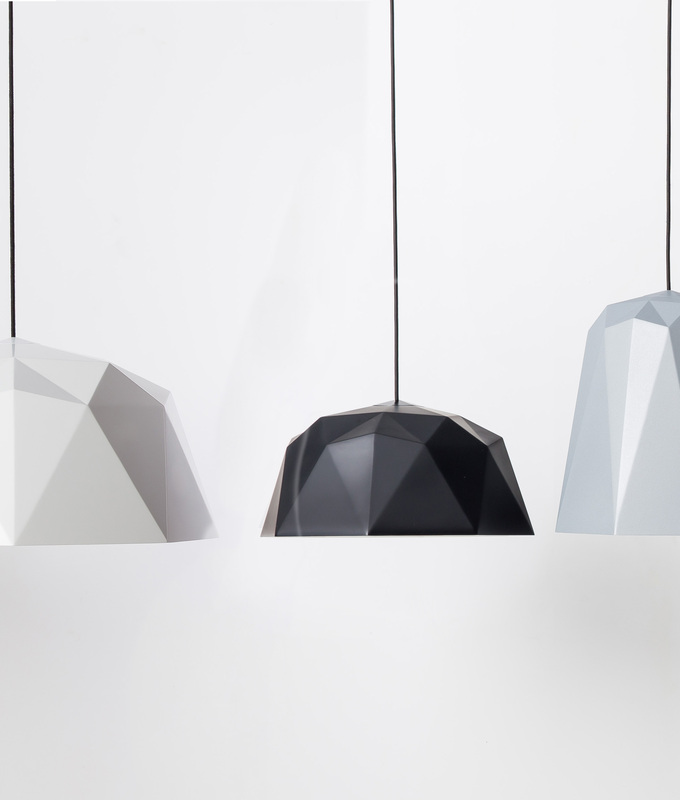 All our geometric lights are just really lovely to look at, maybe that’s why we have eight of them in varying sizes, shapes and colours hanging above our desks here at D&R HQ. Furthermore, we’ve got a whole myriad of different light bulbs featured too. 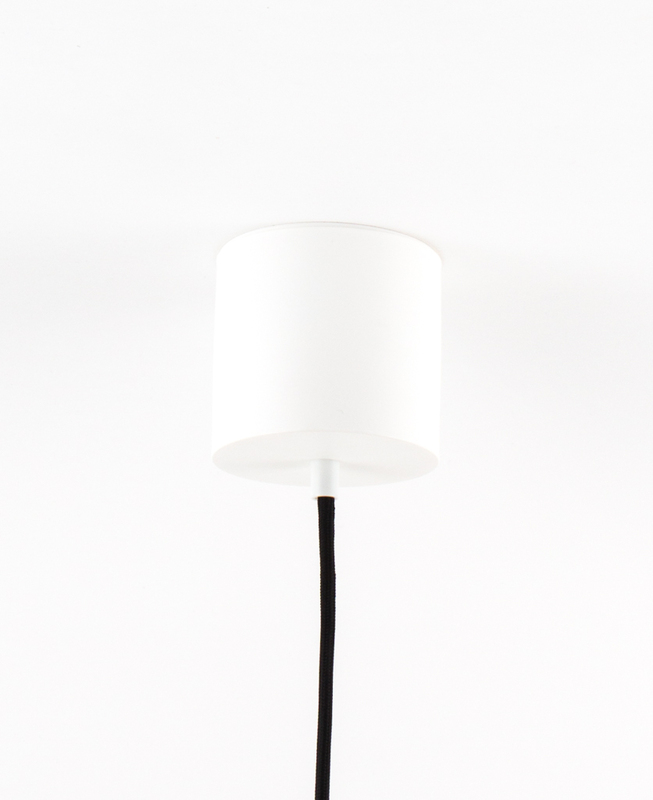 In true Japanese style this pendant light is quite Zen we think. It’s easy on the eye, flowing lines and surfaces that are just lovely to observe. It won’t interrupt your interior style, just enhance what’s already there. We love it in any minimalist interior be that industrial, rustic or Danish in inspiration. While our geometric light shades look good in any space it’s the light bulbs you choose that will really determine whether it looks more industrial vintage or contemporary modern. To carry on the Zen-like theme choose a sleek and sculptural Plumen bulb. These are probably the most iconic bulb you’ll find and as a result, they add a designer edge to your pendant. Plumen bulbs also give out a fresh, bright white that works so well in large spaces flooded with natural daylight. 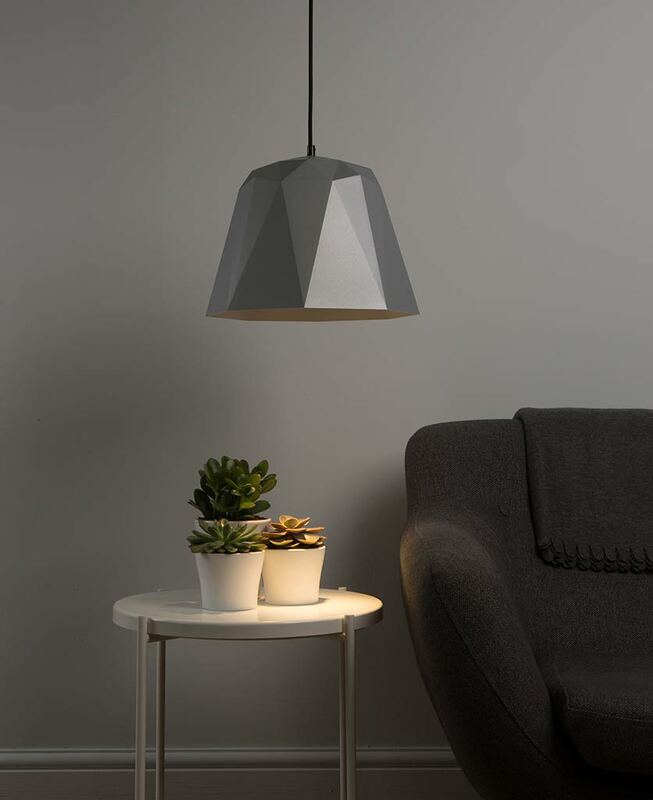 For something, altogether more modern opt for a beautiful Designer LED PAR38 light bulb, a gorgeous narrow beamed spotlight which is perfect for highlighting darker nooks of your home to create more intimate spaces. 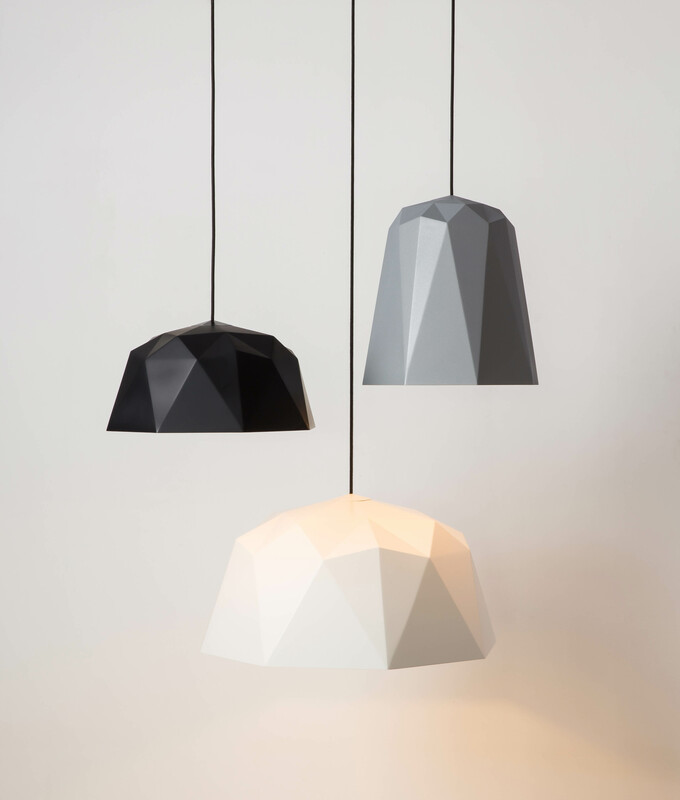 In conclusion, our geometric lights have universal appeal and as a result, fit in most interiors.